Gardere, Louisiana is a high-poverty, high-crime neighborhood and there are needs for youth development programs. Gardere Youth Alliance was born from the heart of coaches providing care and support (through sports) for at-risk youth that are looking for structure and direction. We at C.A.R.E. Foundation are excited that through our focused character building and workforce development training we can help youth strive to build better futures. Of course, the way a team plays as a whole determines its overall success. With that understanding it’s clear that sports will always be sports and talent will always be talent–but the right mindset of those individuals to conform as a team has the ingredient of success. The ingredient for our Sports Character Program is for success in life though sports and training. As coaches, we determine the kind of experience our young athletes have. Now we can extend our reach both off the field and court. We are thankful to have this opportunity to make a difference in the example set by young athletes today. We look forward to implementing to the principles of SEL Athletics and making a difference in the world on child at a time. The C.A.R.E. Foundation looks forward to working with Gardere Youth Alliance. Join us in 2015! 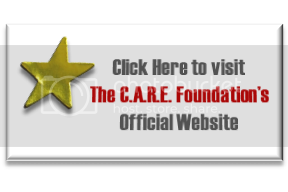 The C.A.R.E Foundation will be that The UNCF Empower Me Tour! The Triumph Kitchen of Baton Rouge, Louisiana is a wonderful non-profit education venue and mastermind of Chef Chris Wadsworth. The Triumph Kitchen is serving as a training facility for at risk youth in learning culinary, hospitality and life-skills to build successful futures. We at the C.A.R.E. Foundation appreciate all the hard work you do!